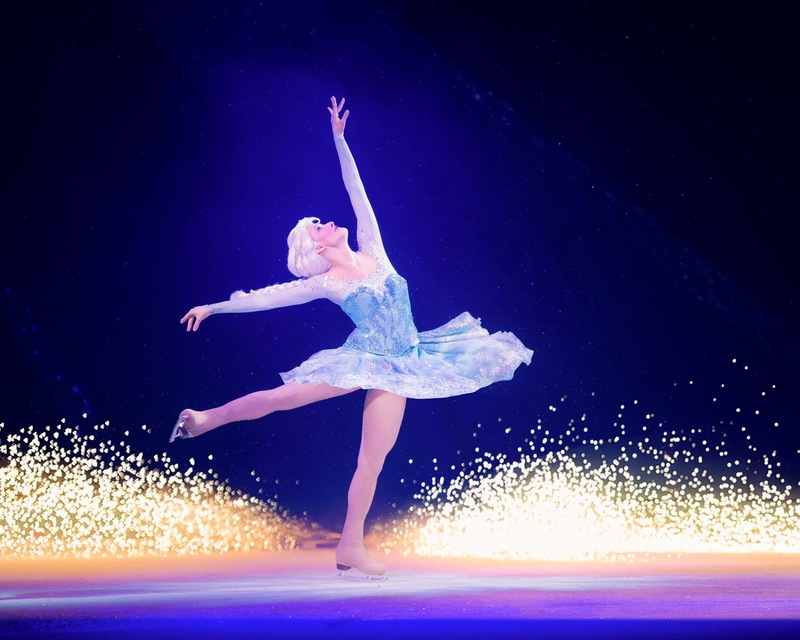 This year, prepare to be whisked away on a magical adventure as Disney On Ice presents Frozen. The heartwarming Academy Award-winning tale you love is now a full length production live on ice and skating into Newcastle. Join your favourite royal sisters Anna and Elsa and the hilarious snowman Olaf, Kristoff and Sven as they sing and dance their way through all your favourite songs from the show including 'Let it Go'. Hosted by Mickey and Minnie, with special appearances by beloved Disney Princesses and characters from all-time favourites like Disney/Pixar’s Toy Story, Finding Nemo and Disney’s The Lion King, the show is not to be missed. Disney On Ice presents Frozen will visit Newcastle's Metroradio Arena between 19th-23rd October 2016. Tickets have now been released for general sale and are selling super fast! 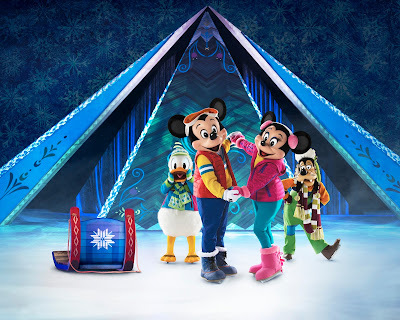 To celebrate Disney On Ice presents Frozen visiting Newcastle this October, we have been provided with 4 x tickets to the Disney On Ice performance at Newcastle Metroradio Arena on Wednesday 19th October 2016 (6:30pm) plus an EXCLUSIVE Disney On Ice goody bag featuring lots of treats. Terms and Conditions:- Simply enter via the rafflecopter below. Daily entry is available via Twitter. One lucky winner will be randomly selected as our winner from all valid entries. Giveaway closes at midnight on Sunday 12th June 2016. UK entries only. Travel/transport/extras are not included. Tickets is non-transferable to another date/show/location. There is no cash alternative or refund available. Unfortunately we have never been to a Disney on Ice performace so this would be our first! I can remember taking my Mum with the children to see Disney on ice. My Mum enjoys watching ice skating. We all enjoyed the show, as did the remainder of the audience. I went years ago and saw toy story & other characters, It was great. Would love to win, it's in the same week as my daughter's birthday so would be the perfect surprise! I have not seen it yet but would love to take my grandchild. I took my son when he was two and dressed him up as Buzz Lightyear. He was mesmerised from the beginning to the end and loved every second of it. So did I. It's such a magical show, I think every child should get the chance to go. Olaf and Sven were our favourites - they really made us smile. Pure Disney magic! when we were consoling our little boy that lightning mcqueen wasn't able to make it, when to all of our surprise, there he was on the ice! he was so thrilled. I've never been to disney on Ice before... but I know my niece would love this! We haven't seen it yet but hope to do so soon. Thank for the super giveaway. although my children have begged to see it , I have never managed to take them ! I haven't managed to see any Disney on Ice shows yet and so I haven't been able to make any memories. 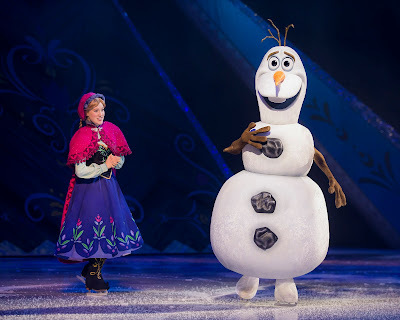 My great-niece, who is 3 1/2, is absolutely crazy about Frozen and would be absolutely mesmerised by this. I haven't seen it but I would love to and so would my granddaughter! I've not been before - but would love to see it. Have not had the pleasure of seeing it yet! we saw a short version at a theme park and the atmosphere was magical! I've never been to Disney on Ice - I bet it's fab though!